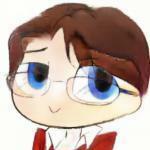 My name is SilentDream, I am new here and don't really know how to get into any type of roleplay yet. I can't really figure out the site yet and if someone could explain it would be greatly appreciated. I am an author and will write as frequently as possible, I am also almost always available for roleplays of any type so don't be afraid to ask. Ok, see you all later. The sound of clouds being pushed, pulled, and kicked could be heard from the ground of Ponyville, for no one really enjoyed the muddy, gloomy outdoors that seemed to be droning on all week long. In fact, even the pegasi of Cloudsdale were beginning to grow irritated with the sad weather, it meant more work for the exhausted winged-ponies. The dirt roads were more like mudslides, plants were drowning in rain, causing their beautiful petals to fall and wilt from the vast amount of puddles. Overall, it was a horrible sight. On this gloomy evening, a certain somepony was forced to postpone her plans all for the sake of moving ridiculous grey clouds all around. This somepony is Flower Eyes, a short young mare that absolutely despised the very thought of being on cloud duty. She wasn't good at it, always placing clouds in the wrong area, kicking the wrong ones, and just simply ruining the formations. She wasn't an exception for her lack in cloud duty, she still had to comply and do her part as a Cloudsdale pony. Currently, her usually messy short purple and white mane was now flat, sticking to her face and neck from the rain constantly falling on her when she maneuvered herself around and between the fluffy floats. She was not having a good day. Flower Eyes pushes a cloud with her sore, cold hooves towards the right, "I could be home sleeping, relaxing... Anything! But no, 'You have a duty as a pegasus, Flower Eyes' they said, 'Just do your part and you'll be done in a jiffy~!'" Her usually monotone or somewhat friendly expression was not a scowl, her face scrunched up in concentration and frustration. Unfortunately, she began pushing the incorrect cloud in the incorrect direction, placing it in the incorrect spot. Just as she turned her back to the cloud, she heard a loud yell. She turns back around, the worry is evident in her expression, she looks around, no one. She builds up enough courage and looks down to see another pony covered in rain and mud, her dark magenta eyes widened as she quickly kicked the cloud out of the way so it would stop pouring on the pony. As she watches the pony, there is no doubt in her mind that this pony was angry. She gulps down the nervous lump in her throat before slowly flying down to meet this blob of mud that was once a pony. She lands in front of them, first examining their face before letting words slip by her lips, "Are you alright?! I didn't even notice you from up there, my apologies for getting rain all over you..." Flower Eyes trails off, becoming somewhat shy around the stranger, "I pushed the wrong cloud in the wrong direction, I am not often on cloud duty... But a mistake is a mistake and I understand you must be frustrated, if you like, I could be of service to you to make up for what I did?" Flower Eyes knows her offer isn't anything special, though, she didn't have anything much to give in the first place, she might as well be of help in some way that will not result in the rain pouring on a complete stranger. Yup, im new here....dont know what else to say, other than Im here to get co authors/writers or roleplay...so yeah HMU if you like either of the topics i just named. Yeshi Hello friends! I am Yeshi! I found out about Canterlot because I was simply looking for some fun roleplay of MLP! I have recently gotten back into the fan base because for a while I lost interest but today I was on Youtube and I saw some MLP videos and I have remembered my LOVE for MLP! My favorite character from the show is... I'm gonna have to go with Rainbow Dash. I have some really really old dolls of her but I can't find them... My character/OC is called Medow. And yes, spelled wrong. XD. I love drawing and I have Deviant Art. Hope I can talk to you people soon. :))) Peace! In the past as child Zebra watched a juniors cooking competition with Sani Coco and Toriko. They are between the ages of14 to 10(ish) and Sani was curious about a girl named kirisuto nagano who was making a dish and was humming.Like she was singing to the food. When they asked her what her goal was besides winning the money to get gourmet cells for her half deaf and half blind problem. she proudly said "To make a dish worthy of a heavenly king!" Which made zebra's heart skip a beat. beginning his deep dark feelings he would forever hide. Years pass now 29 he still would never love any other woman except her. Even Loves pheromones wouldn't work on him when he was in honey prision because the only woman on his mind was Kiri. He never thought he would see her again till Toriko asked him to join for a Shinobeef hunt because Komatsus cousin, Kirisuto Nagano, Needed it for a recipe and she was also coming along. (zebra is the tan redheadded one) ~the oc to help with the theory and yes i allow other ocs to help with the plot~ name: kirisuto nagano race: human nicknames: 'the divine gourmet singer' (to the press mostly) 'the hyper jellybean'(mansam) 'stubborn fox' (Komatsu) gender: female birthday: August 7th 478 GA age: 26 height: 4'11" weight: 125lbs blood type: O+ occupation: gourmet chef at the harmony spa and resort. combo partner: (none at the moment) collab partner: Her cousin komatsu pet/partner: Elusive the baron tiger related: Komatsu (her older cousin by 3 years) her voice when she sings one of her musical dinners: www.youtube.com/watch?v=Qe6un0dUWf8 crush: Zebra Bio/personalty: When she was little she entered an IGO jr cooking contest singing a song while making her favorite meal. rainbow tarts to win gourmet cells to save her life.This began her crush on zebra then and her dream to make a meal worthy of a heavenly king. Now Working at a 6 star restaurant at the harmony spa and resort owned by IGO as the head chef is a blessing and a god forsaken CURSE to kiri. She is a gentle being to most of her friends and if she sees a weakness in them or in someone flirting with her for the wrong reasons or being a complete prick to her 'which she calls the song of their life' she will either help them or exploit it to no end to where their exposed. She also can be quite the stubborn hard donkey when she needs help herself and when she does ask she feels like shes burdening people. like her cousin she can get timid but only around her crush Zebra. she can be quite energetic and drives manson(aka mansome) insane with how much she can talk sometimes if she had too much rainbow cola. When around her friends like toriko she loves experimenting creative ideas to help gourmet cells evolve while helping the body find its harmony. When around Zebra...shes a emotional mess. She wants to impress him but knows he hates cocky people. And she can be honestly a lil cocky if someone makes her mad. Shes 101 on IGO's list and was near close to beating Ega. Appetite demon: A kitsune In classical Japanese, kitsu-ne means come and sleep, and ki-tsune means always comes.Her Music demon reflects her personality since they are tricksters, with motives that vary, but act as faithful guardians, friends, lovers, and even wives. The music demon knows her playful nature and kindness and wants to be allied with the Sound demon. But getting close without a blushing idiot of a hostess(Ak kiri) is a tad difficult. Okay before i open the starter let me drop a few rules. I know some people dont like em but let me explain em 0. Please read lakes character sheet before pressing to rule 1. It gets MAJOR annoying that someone reads my starter and instantly calls 'mary sue' on my hide 1. Okay now that's out of the way. I accept cannon,non cannon, and OC ponies. I just want to get to know them first. Fair is fair after all. If you do plan on shipping her please give a legit good reason why they should be on the shipping express. As much as i ship Lake with Sherlock many people play the pony version of Sherlock differently. Moving on! 2. I not the best at grammar, hence why im in a improving grammar class., so please don't judge me.Not all auto or typo corrects are actually correct so if your confused with my sentences don't be afraid to ask me and ill correct it properly so you can understand and vice versa. 3. TIME! Time is important since i live near seattle Washington and just so happen to know everypony doesnt live on cali time. So just so you know i do check this every day but there will be times i wont be on. 4. Language and clopping.. Okay being 26 i will tolerate a few bad words if they are done right for example i say fudge when i want to say the F bomb and so on but if i catch you swearing without even covering it up. we got an issue.As for the clopping.it makes me uncomfortable. I like my rps pg13.. any scenes that might lead to a baby...time skipped with agreements. Okay thats enough riles onto the starter. ~~~~~~~~~~~~~~~~~~~~~~~~~~~~~~~~~~~~~~~~~~~~~~ Laughing lake was new to Ponyville and to be honest, she was a very nervous wreck. She did get a home but starting her job as a paranormal consultant and shaman was gonna be hard with superstitious ponies. She wanted to show she wasn't a bad pony. When she got home she began decorating her home and put her positive spitit windchime at the windows. "There..Now i can begin business soon." She said smiling as she continued unpacking. i need some help with this roleplay thing and give a small story how my oc ended up in the iron pony contest in cloudsale. 20 roleplayers is the max i am looking for. 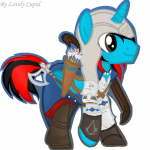 i need some ideas to how my oc pony ended up in the ironpony contest in cloudsdale. A Great Day for Roleplay! What a beautiful day. The sun was shining high in the sky above, the air was so warm and the clouds brought brief relief whence it passes over the sun to cast a dark shadow. There are ponies every which way and that; enjoying their afternoon on the park benches.. or there are foals on the playground.. Or older colts playing a rousing gave of hoofball. Young mares with their hoolahoops and an old grandmare feeding the pigeons. It were almost picture perfect, the kind of scenery that only box art could rival. Where everypony was either smiling or looked content beyond their years? They knew not of the struggle some faced all but a few meters away, through the trees and in another grassy opening; a meadow by a humungous rock. ============= KRACKATOMMMMmmm! A powerful ray of thick, off-white blue energies blasting through the air, colliding with a small, sapphiric shield, refracting off in all directions. Where's upon the slopes of a frosty mountain there stand two ponies. One tall, powerful unicorn stallion and one beautiful Pegasus mare. Each gifted with long, flowing white manes and piercing red eyes... The male bore a bladed horn; the magic withering away briefly so that he might collapse. "Lancaster! ", the mare catches him; her right eye covered in but a ragged black eyepatch; bearing incredible scars and bladed wings that shimmered and clacked together with even the slightest movements. They were both sunk down several feet into the ice; bunkered against the blast which had come from something even they had not prepared for. "That were.. a most powerful attack..", he murmured quietly.. his legs trembling as he does so valiantly attempt to pull himself back to his feet, "I am just a bit sapped is all.. Nothing to worry.. Agh!..." The mare gasps, "You are hurt.. Your horn is steaming!" "I overclocked the shield, nothing more! ", The darker, olive brown stallion "... Hm hm hmm..", the air thickens as a very dense voice; filtered with such deafening power washed around them. The land shook.. the air grew colder. Snow belted off the ground and high into the air. The light brown mare's piercing red eye glint to mere pinpricks.. looking up... and up... and up. Into the eyes of a great and powerful Frost Wyrm. A giant by even standard, dragonic proportions. Who's sheer presence lay waste to the land around him... climbing his way out from the underside of the mountain peak, "Foolish little Equines. You dare to venture so high into the mountains. To dragon's peak? You dare to challenge my territory? You dare to challenge ME? !-", the air itself rattled.. the mighty drake revealing his armada of teeth. His wing hands slammed into the rock.. articulating such that he could rip the rest of himself free. Massive plates shutter and grind with each and every movement while his hind legs eventually clammer up.. standing before them.. Almost on top of the two near defenseless ponies. His eyes an icy blue.. his body mixtures of greys, off-whites and frost sea. A behemoth of a wicked creature forged by greed. "You dare challenge Fraule? !~", it booms, "You barely stand after all but one blast.. What hope do you have? ", his head craned down... shoveling snow in his jaws before his cold.. moist breath rocked over the two.. leaving a coat of frost on their much smaller, near-microscopic bodies by comparison. http://imgur.com/vQMJHzX Both Lilly and Lancaster's gorgeous dark cloaks flutter in the breeze laidened upon the mountainside, facing this daunting task. The shorter Pegasus leans into her elder brother, "What... do we do? ", she shudders. His red eyes shift between she and the dragon, "... I am not beaten yet.. But I need.. T-time..", they are both perpetually freezing, "-Look out!" FWOOM! The ground lifts beneath them as a huge tail begins something of a small avalanche; sending the flying into the air and back down into the cold, fluffy snow, "MEHAHAHAHAAA!! You Assume I cannot hear you! Meddling ponies! I am a dragon!" They land several meters apart from one another; struggling to climb back to their hooves whilst Lancaster rises, his white mane fluttering in the cold wind; his horn blazes with light, "Enough of your rambling monster! Have at you! FIREBALL!! ", like a loud, rattling cannon a mighty fireball licks from deep within his core.. shooting straight for the dragon; bouncing off and blasting apart upon the beast's massive chest as though it were nothing more than a petty firework. "Hmhmhmmm...hmm...", the Wyrm begins to slowly advance.. taking it's time as it looms ever closer. Able to ignore the numerous arrows plinking off of even it's huge, flaring eyes. "My scaling alone provides me with armor far beyond what your petty magicks can summon, Child. You will both make an excellent treat... As I do so admire your tenacity..." =========== "Aw come on this is like.. too hard! ", complained a small filly named Lilly, who were still laying on the grass about two meters away. Her mane was in fact.. not white; it were a straightened, downy black. And she wore sweet, emerald green eyes as opposed to red. The tiny pegasis tucked her wings and puffed out her cheeks very tightly, "Fraule is OP!" The same could be said for her brother, Lancaster. His real, given name were something far more.. unusual; Umekile. A darker, olive brown unicorn colt who's horn was in fact.. straight and curled much like everypony elses. His eyes were a piercing sapphire. And his mane? Well! It too was black; not Elven white. "Lilly shoosh! I'm trying." "Hey! You said I could be the dragon! And I'm a super big dragon! And dragons are tough! ", protests the third companion of them... another unicorn. Who's coat was an icy blue; a frazzled, creamy white mane and yellow eyes. Atop his head was that which marked him the dragon... A small, gray lizard; an Anole. who emotionlessly twitched it's head to and fro.. the height not too high enough that it would hurt jumping down.. but too high enough to want to even if the three of them were all very small. "I don't have any magic spells! And you said my arrows don't do anything to you! ", The smallest of the three whines. "Well yeah, duh! I'm a dragon! You're using plain iron arrows aren't you?" "I was using my Diamond tipped arrows!" "Ohhh!... Then they maaade-" Umekile steps in with a sneer, "They made dents in your armor and are getting lodged in your scales! Like a pincushion! ", he clips his hoof against the grassy floor beneath them, "Another few good shots and I think one should get lodged in your eyeball!" "WHAT?-... Aww.. Alright I guess. Diamonds.. Pfft! ", the blue unicorn with the frazzled cream mane was Cryoshock; an equally nerdy but more stout compared to his tall, lanky friend in front of him, "Okay! But remember.. That landing damaged your wingblades, Lilly! And Ume!... My chestscales are waaay to tough for a simple fireball." "Oh.. Alright! I'll just have to try harder!" "So you would think! ", Cryoshock grins, his horn glowing; but his eyes go cross as the lizard crawls down the front of his face, looking into his left eye, "Hey! Fraule! Get back up there!" Most of their commotion is hidden by a small layer of trees and brush. Lilly then asks, "Hey.. We're on a mountain right?" "Yes." Both Cryoshock and Umekile answer simultaneously, as if slightly annoyed. The sweet little Pegasus hops to her tiny hooves and then proudly proclaims, "Okay!-" ======= Whilst the Wicked Wyrm's attention is pilfered and drawn by the loud boasts of her tenacious elder brother. The mare pulls herself from the snow, grunting and weakened.. Her wing extends; grabbing for her bow, "Almost-!... Agh!... Gotteem! ", she squeaks. Lillith draws a thick headed arrow from her now snowed-in quiver. Striking a match and lighting it ablaze, "KEep talking Ume-I mean Lancaster! ", she whispers as she takes aim.. and releases the flaming arrow high above the dragon; a mighty 1000meter climb to a peak above them. Followed by a small BOOM... The two bickering males turn their head up; yes even the dragon's attention is drawn to the heavens above as the earth begins to shake. "Lillith! What have you done?! ", cries Lancaster as he immediately begins to hop toward her through the deep snow.. trying not to stumble over while Fraule is distracted by the coming torrent of snow and Ice. "Burying the dragon! ", she answers as she yelps, getting swept in by her brother.. A shield casting while the roar of that great drake was drowned out by a mighty, mile-deep avalanche of ice, snow and rock! ========= Back to reality the three small ponies merely TOSSED themselves to the left.. With Umekile hunkered over his smaller sister and Cryoshock taking his small, pet lizard Fraule into his hooves and making a garbled "RAAAWWRBRBRBRBRLLRL!" Janus Bonanza was just getting ready for his big day. This wasn't a job interview or meeting or anything of the sort, this was a robbery. Janus never liked spending money, especially when he was just a filly, he preferred alternatives when it came to getting most of the things he wanted, and stealing was one of those alternatives. As Janus had finished getting ready, he headed to his destination. A farm would be the target, as the family who owned it was away at a marketplace, making it perfect opportunity due to the potatoes that had finished growing. Once Janus had finally reached th farm, he began collecting the potatoes, with a smirk on his face. It was a rather cloudy day in Manehatten, the city was not as bustling as it normally was. Shattered Crown had also woken up to be informed of a friend of his being put in the hospital. Once Shattered had reached the hospital to meet his sick friend, he was told that his friend had contracted a rare sickness that none of the doctors had a cure for in they're disposal, saying that the cure would require a rare plant found somewhere around the world. Shattered was willing to find this plant, especially considering that his friend was one of the only friends he has ever had in his life, Shattered made a vow to watch his friend's back when trouble arose and this was the worst so far. Shattered asked the doctors where to find this plant, but the doctors had no idea where the plant could be found due to how rare it was, thus Shattered Crown had made it his goal to search all of Equestria to find said plant. Shattered went to his apartment, packed things for the trip and set off trotting along the sidewalk, The Crystal empire would be his first destination. Does your roleplay need to get Bulked up? Bulk Biceps is just the pony to do so. If anypony is interested in a roleplay with Bulk, leave a message here or to me directly. YEAH! 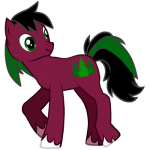 So I have this character here ^ that I made in Pony creator, however I was never pleased with it. I always wanted to get a better image for her. Her name is ColdRemedy, and i'll post her app when I get the link, but I need some help making a better photo for her. As I want to use it in a banner at some point. Anyone willing to help? I would be very grateful. EDIT: here is the link. http://www.canterlot.com/topic/21107-coldremedyready/ EDIT 2: Just so everyone knows I am going to roleplay and try to chat and learn more about you guys. This isn't just a "hey! I need a character! Okay bye!" I am liking this site so far and if anyone is willing to do this I am eternally grateful, however nobody has to do it. I can deal with my pony creator character and I don't have to have a banner. Thanks for reading. Here are the rules: No god modding	No too gory fatalities	No too stupid fatalities	No ignorant anything No one-line responses except for meLet's get started. Cloud is practicing his fighting technique. Cloud is training really hard until a unsuspecting opponent walks up to him. "Who are you and did come to me to stop my training?" Name: Lightning jay Gender: Stallion Age: young Species: Pegasus Eye colour: Dark Brown Character colour: 4FD5D6 light blue viking Coat Color / 2nd mane colorMane/Tail/Other: baby blueCDFFFFlight blueonahau Mane ColorPhysique: fairly medium in size and fairly healthy Residence: A Cloud on top of the Everfree Forest / Middle Class home in ponyville Occupation: Adventurer/ Hunting Teacher / Camping Guru ? Cutie Mark: A lightning with a jay bird on top spreading it's wings Unique Traits:sharp, cunning, quick, doubtful, Empathetic and kind, He can play ball with himself kicking the ball while flying back and forth. He is highly resistant to electricity, loves to eat, when he flies Too fast or when powered by electricity his wings starts to create lightning spark trails. History: Born in a remote part of Equestria ( Sveltahorse ), his father Evan Grimoire ( Unicorn ) hid many secrets upon his work and because of this you'd think that marrying some pony and having a family would be troubling. But even for the darkest of magic's and the evilest of ponies love can never be avoided. Eventually He got married to Wild Scarlet (Pegasus) and decided to have a foal, Evan knowing the danger he'd put his family in protected both of them with a powerful dark magic. Also believing jay to be born a unicorn gave him extraordinary destructive powers that once in the proper age he'll make jay master them and make him continue his father's legacy of darkness. Before he could be conceived he was saved by the zebras in his tribe after an incident his father caused exposing his true nature. His father was stripped of his dark magic and was banished. They kept Scarlet isolated from every pony else knowing that the foal she carries holds dark magic as well. they had even thought of killing him after his birth, But because of his father's doing they couldn't. Eventually one zebra stood up and volunteered to take good of care of him despite the risks. Enchantios promised that he will purify this foal of the dark magic inside of him and ever since... he had. of course scarlet, after giving birth had succumbed to the dead and jay was left to enchantios who so desperately tried to purify jay and set him to the path of good. Even with the darkness inside him Enchantios did his best to make jay live a normal life despite every other pony or zebra around him grew distressed, Some even tried to kill him and of course this scarred him to the point where he'd grow paranoid around every pony thinking they're waiting for him to lower his guard, Before pouncing and attack as quick as they can. To finally rid of the darkness inside him he ventured off to Equestria knowing that the 4 Alicorn princesses could help him with his problem. He stumbled upon a lot of trouble that had put his personality to the test, having one time He saw a carriage being ambushed by thieves, Of course knowing the danger jay didn't help. To that the darkness inside him grew and the kindness his heart possessed lightly diminishes. another given time he had encountered a few starving orphaned foals on the streets, jay apparently low on rations Still gave some of it to the hungry foals, By this act of generosity the kindness inside him Thrived while the darkness suffered. He eventually got to Equestria and had sought help from the princesses. Now a changed stallion he offered himself on helping other ponies with hunting and knowledge on adventuring and or camping in the wilderness, Either with or without camping stuff. Cutie Mark Origin: One day while practicing his flying capabilities, Hunting skills and wilderness expertise he was quickly caught in a very extreme and dangerous storm. He was put to the test when he tried flying out of the storm and was quickly hit by multiple Lightning bolts, But this only made him faster and faster. Realizing this he got out of the storm and into safety by mere seconds but, After the adrenaline rushed out of his body it began to strain hard to the point where he couldn't stand and was left in an unknown part of the forest and with no pony to help him. Luckily he was saved by a group of birds ( specifically blue jays ). He adapted the skills and personalities of The jay birds around him, For instances their hunting capabilities and how they'd react to predators when near to their nests. They'd keep quiet while some other jay birds away from the nest would emit loud chirping noises to distract the predator away from their homes. He Quickly adapted to these skills and lived with them for 2 months, In the remainder of his stay the storm caught up and of course Jay protected the birds from various lightning storms and helped them when predators were nearby. He eventually decided to leave them and return to his tribe. Upon returning enchantios pointed out that he now has his cutie mark, a Lightning bolt (when he got struct by it multiple times but survived) and a jay bird spreading it's wings (because of his times with the jay birds). Character Summary/Personality: Lightning is a very quiet and kind Pegasus. He has his fair share of mistakes that would lead to him only making things around him worse. But despite that, In good days he can help accordingly to plan without any sort of drama. He is a pegasus bearing a lightning and bird (jay) symbol Cutie Mark. He once lived on a cloud above the Everfree Forest but eventually moved in to ponyville. he is kind, smart, a bit too emotional, serious too much, Isolated, Brave, optimistic ( but is having trouble showing it ) he is not big and buff, but he is agile giving him the advantage on some opponents, He does not like to show off and rather isn't quite boastful he has trouble trusting some ponies because of recent events that scarred him. He has Teleophobia and has conflicting roles with himself as an individual ( Identity crisis ). He loves the outdoors mainly because of how unique and natural everything is about it, He is quite skilled with hunting and favors birds as companion ( specifically Blue jays ). Additional Info: If you're not aware the dark magic his father left inside him is to amplify electric components and bend them to his will tenfold than the average unicorn. no pony actually got this flaw extracted out of him, Not that there aren't many ponies that could do it it's just that he... Forgets to mention this to any pony else, And upon asking there are actually 3 reasons, those being: 1.) he forgets about it like most of the time 2.) he doesn't really mention it out of the blue because he fears that every pony else around might feel threatened, therefore resulting in an angry mod chasing him out of town. 3.) And because he actually thinks this is some gift he could use to help other ponies. He is right about that you know. He can harness the raw energy the lightning bolts possesses in order to fly in extraordinary speeds, But keep in mind that he cannot stay in this state of power for too long, Because the raw energy needs to flow in and out of you in order to restrict shock and damage to your body. Jay only being a pegasus and highly resistant to electricity can use the raw energy to fly faster but can still die since being highly resistant can only do so much for him. Despite his father's idiocy of not actually using his dark powers to discover right away what race jay will be born as is not the only thing stupid about that. the thing Evan did that exposed him of his true self was... ( see rule 34). Jay discovering this actually find it a bit awkward when around mares, He is extremely shy and pessimistic around them, Even one time showing off a bit too much and ended up only on bumping his head while timberwolves chase off the mare. They were saved... eventually. My pony's name is Penan Paper. He's a writer but he doesn't base books off his adventures like A.K. Yearling does. He likes to write horror stories to scare ponies who read them. He got his cutie mark when he was writing a short story as a colt for Ms. Cheerilee.